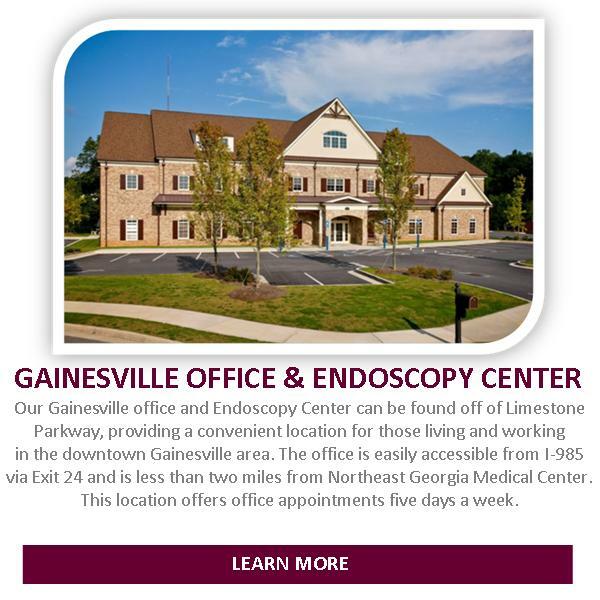 WHY GASTROENTEROLOGY ASSOCIATES OF GAINESVILLE, P.C.? Gastroenterology Associates of Gainesville, P.C. is an independent specialty practice, dedicated to providing the highest quality of gastroenterology services. Our physicians are board-certified in gastroenterology and offer special expertise in treating digestive issues and diseases. At Gastroenterology Associates of Gainesville, P.C. we understand the sensitive nature of gastrointestinal illnesses. We strive to provide our services in an environment which stresses patient privacy, confidentiality, and satisfaction. 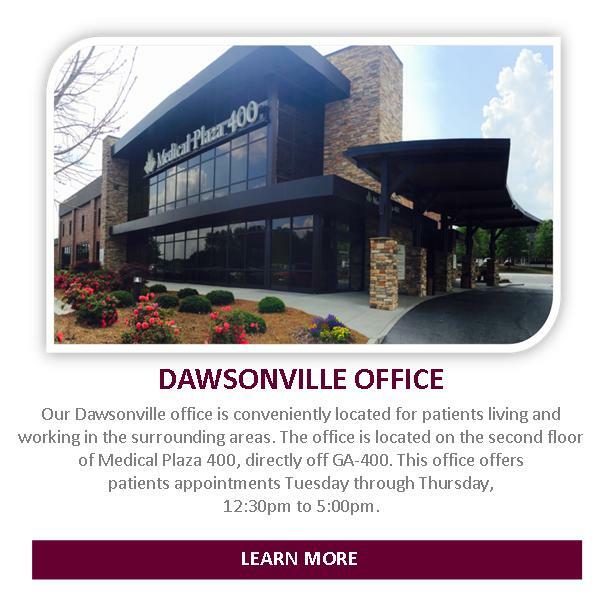 With us you will receive the highest level of care, from a team of physicians who have been serving the Northeast Georgia area for more than 35 years. We believe experience and expertise matter. Gastroenterology Associates of Gainesville, P.C. and its affiliates, complies with applicable Federal Civil Rights Laws. We provide various free aids and services to people with disabilities, and/or language services (other than English). It is important to our practice that all our patients receive access to quality healthcare. Our expertly trained physicians treat a number of different digestive issues and diseases. Click here to explore our specialized services. In order to accurately assess your condition, specialized procedures and/or test may be required. Explore the endoscopic procedures offered by our expertly trained physicians. Our practice offers an in house billing department that is available to assist you with any billing inquires. View insurance plans commonly accepted by our practice, financial responsibilities, and more. 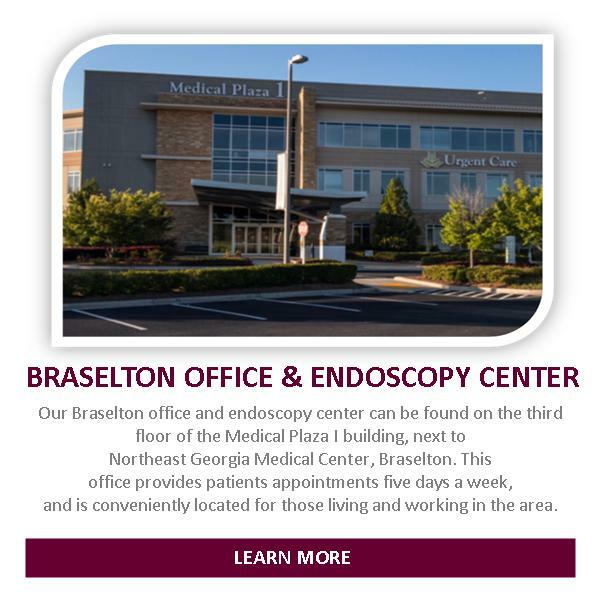 Gastroenterology Associates of Gainesville, P.C., Gainesville Endoscopy Center, LLC and Braselton Endoscopy Center, LLC are please to announce we are now offering a secure online payment center via our website at www.gastrogainesville.com. Colorectal cancer screening saves lives! If you're 50 years old or older, talk to your doctor about getting screened. Our practice optimizes the Follow My Health patient portal. This portal allows you to simplify your life by accessing medical information online 24/7 anytime, anywhere. It allows you to view test results, request appointments, medication refills, send a secured message to your physician, and pay outstanding balances.